Tested for performance before sale. Power: 1-15 W SSB 2-30 W. Power: 300W Max (FM) / 600W Max (SSB-CW). 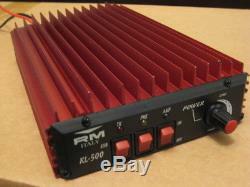 The item "RM KL 500 Power amplifiers" is in sale since Saturday, June 2, 2018. 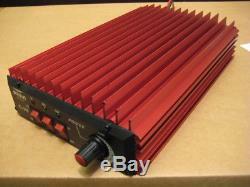 This item is in the category "Handys & Kommunikation\Funktechnik\Amateurfunk\Amateurfunk-Verstärker". The seller is "sergebaranchico0" and is located in Shelkovo. This item can be shipped worldwide.